A healthy and yummy no-bake snack with a sweet cherry layer and a crumbly streusel topping. Gluten free and vegan too. 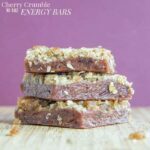 Cherry crumble no-bake energy bars make the best healthy no-bake snacks when you’re on the go! 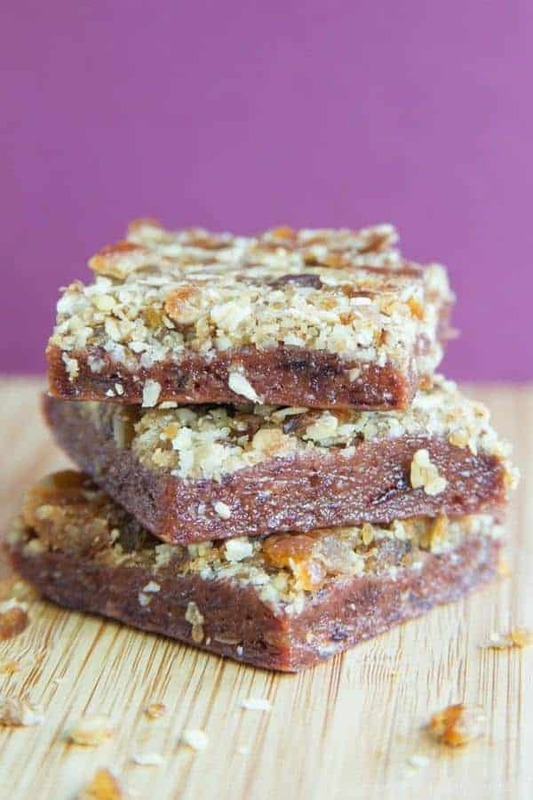 For breakfast, lunch, or after school snacks, this healthy energy bars recipe is perfect! 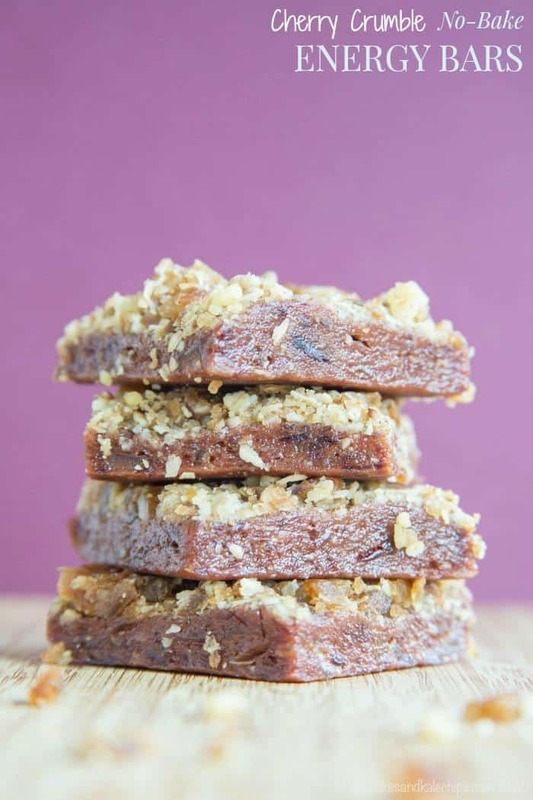 This no-bake energy bars recipe is vegan and gluten-free, too! 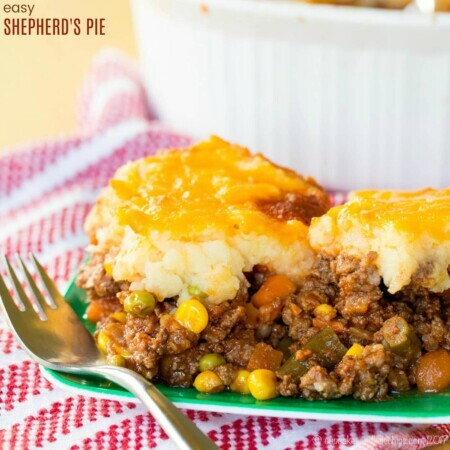 Whether you’re packing healthy no-bake snacks for a road trip, a dish for a potluck party, or just bringing a meal to a friend in need, this week #SundaySupper has a menu of Food That Travels. For me, this summer is all about keeping my boys from getting “hangry” on the road as we drive to the pool, the beach, to my mom’s for the weekend, and yes, even as far as Disney World, so I need plenty of stuff for them to munch on. 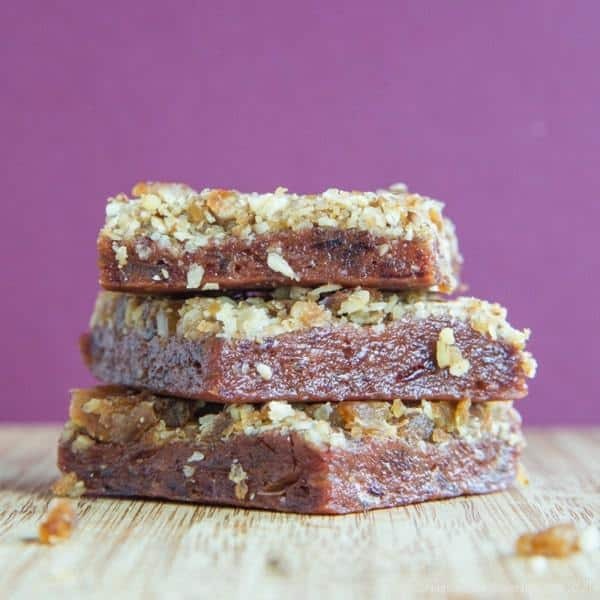 One of my kids favorite healthy snacks on-the-go are any kind of bars, balls, and bites, like these Cherry Crumble No-Bake Energy Bars. Keeping this one short and sweet guys. Why? Well I’m probably busy making my boys some snacks. Or serving them snacks. Or cleaning up after their snacks. I swear, since they got out of school and are home with me all day, all they want to do is eat. They can’t even last thirty minutes at home without needing to put something in their mouths, so if course, I can’t get through a three hour car ride to my mom without needing an easily accessible backpack filled with portable munchies, lest I listen to whining the entire ride. One thing I always try to have on hand are some sort of no-bake energy bars or granola bars. When we are at home, they are easy to grab, healthy enough to be a follow up to breakfast since my boys’ primary breakfast is never sufficient, but yummy and sweet enough to fool them into thinking they are having a real, honest-to-goodness dessert. These Cherry Crumble No-Bake Energy Bars definitely have dessert-like goodness. I’ve taking a fairly standard energy bar base of dried fruit and dates, but then I made a mock “streusel” topping, if you will, from pulsing dates, nuts, and oats in my food processor. And as much as my boys love energy bars, crumbly streusel toppings make everything better. These energy bars are a bit softer and messier than those that I’ve made previously, plus, you know, crumbs. But they were so so SO good. If you think you’ll just be munching on them at home, then you can store them in the fridge, but if you want to pack them to go, I recommend wrapping them in plastic wrap or wax paper, then tossing them in the freezer till you are ready to tuck them into a lunchbox or whatever bag you’ll be packing for any of your summer adventures. Prepare the streusel topping by all of the streusel ingredients in a food processor or high-powered blender and pulse several times until chopped and crumbly. Place in a bowl and set aside. Line a 8x8 or 9x9 square pan with wax paper or plastic wrap. If using plastic wrap, spray with a bit of cooking spray or a little oil. Place dates, cherries, vanilla and salt in a food processor or high-powered blender, and process until the mixture forms a large mass, breaking up with a spatula if needed. Press the mixture into the prepared pan. You may need to put a bit of oil on your hands or spatula, as the mixture will be sticky. Sprinkle the streusel topping over the cherry layer and press down. Cover the top with more wax paper or plastic wrap and press an equal sized pan to roll the top with a glass to flatten completely. 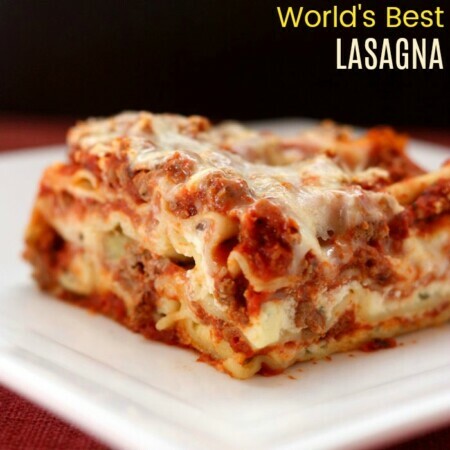 Freeze for 30-45 minutes, then slice into bars or squares. Store in the refrigerator, or wrap individually and freeze until ready to pack to bring along with you. These sound delicious Brianne. I love cherries in anything. These would be perfect for a picnic! I love dates and cherries these must be awesome together! 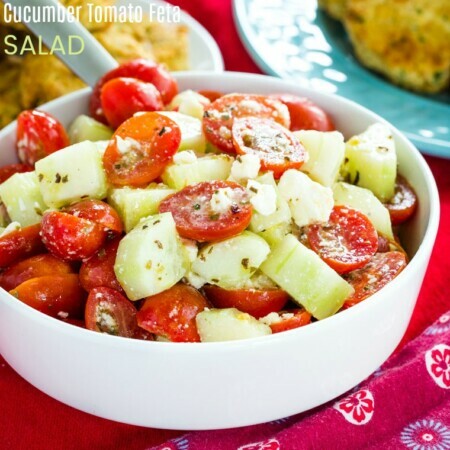 Love this healthier treat! And I’m all over anything full of dried cherries! YUM. Oh my god these sound SO SO good!! 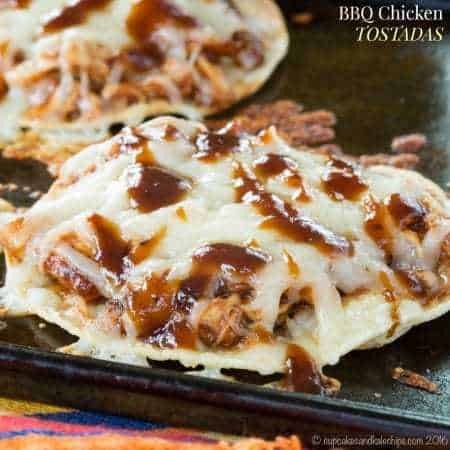 I will be making these! These look great! I am definitely cooking these up for our next road trip! YUM! 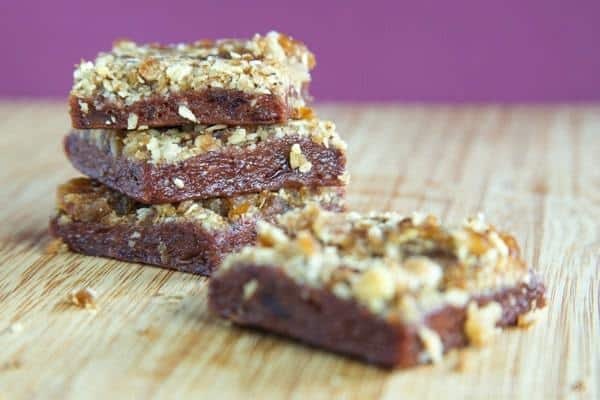 I can never believe how versatile dates are, but they have made some seriously amazing bars here! These would be great to go on any trip with, love these! I bet these taste amazing and how great is it that they don’t need added sugar. Plus there are so many cherries at the Farmer’s Markets right now. 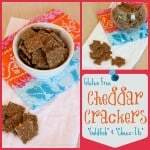 This is such a great use and wonderful snack for my twin boys. 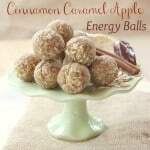 Oh I’d love to power up on these in the mid-afternoon when I’m having that slump in energy.